Say Hello to the latest and #1 laser light earphone. 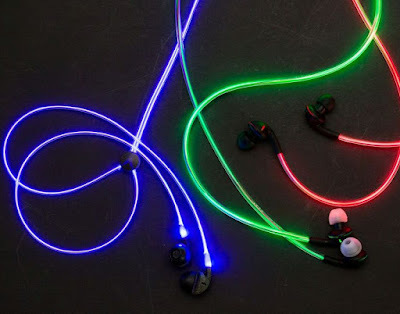 They glow to the beats of the song you are listening to. 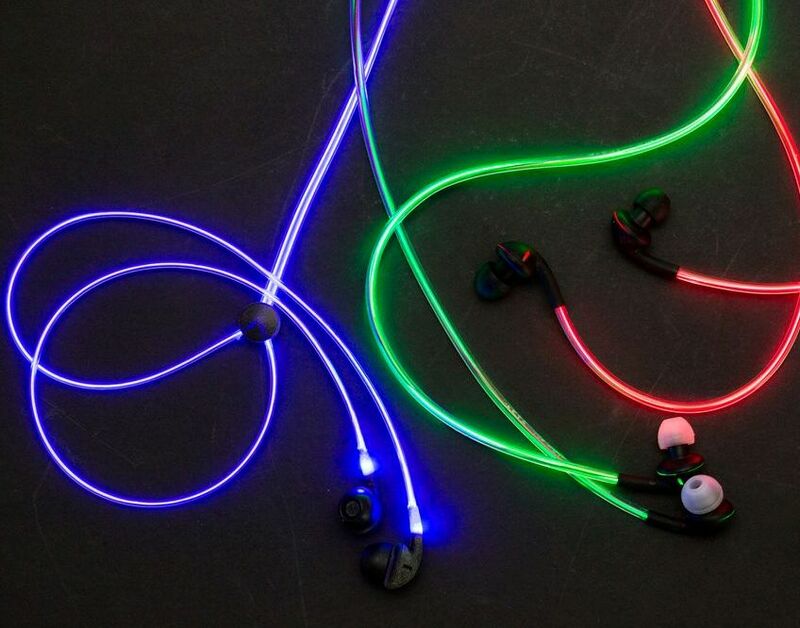 These earphones are made from Corning fiber optics. They have this ear fitting design with an ear hook which is good for jogging, biking etc. The glows are not just gimmicks, as the pulsating light can make an individual substantially more visible to cars at night etc. These headphones are designed to get attention but that’s not their only feature. 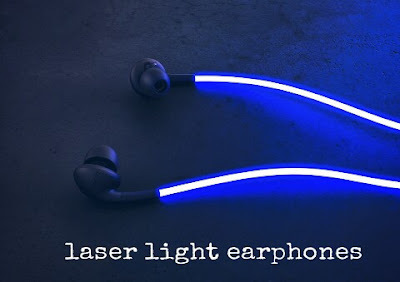 Glow says its the “world’s first” laser light headphones. The laser light glow comes out of the cable, which is called Fibrance. A special light-diffusing fiber from the folks over at Corning. Glow is also one of a few pairs of headphones that are designed to be compatible with Android right from the start. Android never had a dedicated audio accessory. The Glow is planning to add much more advanced features that include the ability to understand contextual situations. For example, say you’re running late for a meeting and you’re in your car. Your phone would be clever enough to know all of that information already due to your scheduled appointments and it would recognize your mode of transportation based on data from speed and motion sensors. If you receive a message in that moment asking your where abouts, you could simply press the up button to trigger a canned “I’m on my way” response. Another example, Wang says, is if the phone notices you’re watching a movie, you could hit a button to trigger an “I’ll get back to you” reply.However, most of these advanced features will be Android-only, at least to start. iOS users will still have base features like music controls and rhythmic light pulsing, but Wang lacks the resources right now to guarantee parity with both. iOS support is, however, one of Glow’s stretch goals on starter. Interestingly, the Glow still hooks up to the phone via the regular ol’ 3.5mm jack or with Bluetooth. So if the battery ever goes out, you can still use the headphones as just regular headphones. Glow is currently offering eight hours of continuous use and the team is currently developing an attachment to extend the battery life if necessary. Glow are more than just a pair of headphones. When you’re out running or jogging you can see the light pulse faster according to the rhythm of your heart . If it senses you’re in a calm mood, the pulsing will slow down.” There’ll be a binary switch that lets you choose whether you’d prefer the light to pulse to the rhythm of the music or to your heartbeat.These headphones are neither too bass-heavy nor too treble-heavy, but strike a perfect balance between the two. As shown in various advertisement these headphones do pulsate according to the music, but not in a heavy staccato. Instead it flows with the melody of the song, capturing every beat of it rather than anything that flashed or blinked.